Pleated Shades w/ Side Panels - by Exciting Windows! 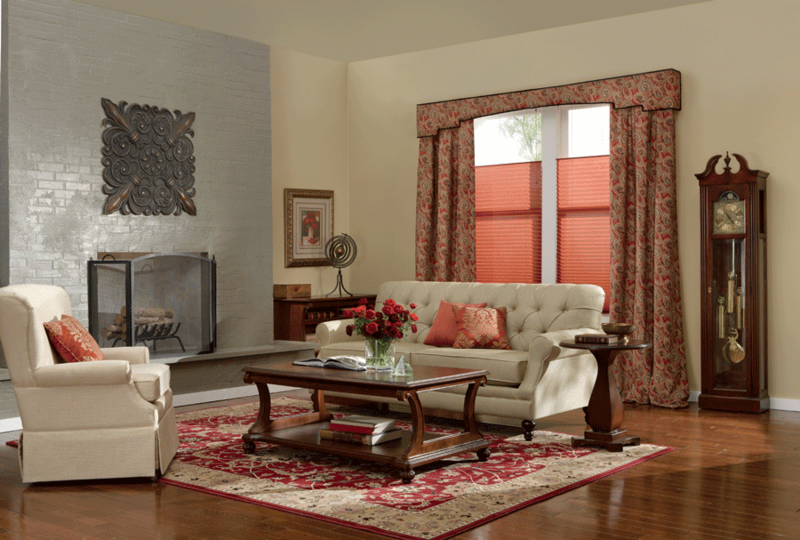 Enjoy the natural light, while maintaining your privacy, with this layered look. Soft, flowing, floor length drapery panels add an air of sophistication and elegance. The pleated shades provide adjustable light control, as the color of the shades ties the room together for a polished appearance. Top treatments are easily customizable to fit a home?s unique decor – notice how the trim enhances the geometric design. Let us help you personalize your home today!